For this week’s angels, I met with Colleen Tribe at Roseberry Qld to have a chat about all the programs that they offer in our community. WOW… there are a lot! 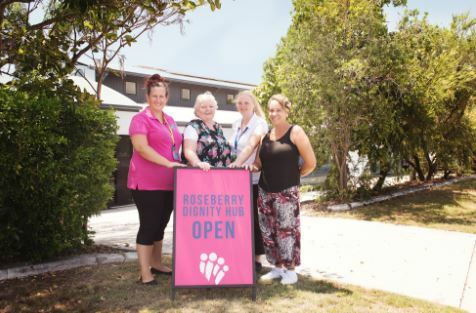 Before I get to my Volunteer angels for this week, I’ve decided to give you an overview of the amazing services that are available from Roseberry Qld, as I did not know that half of them even existed. By highlighting this awesome group and the outstanding work that Colleen and her employees do, I am hoping that it may help someone in need of these services or possibly someone out there that can contribute to keeping them ‘alive’ either through volunteering or donations. Roseberry House – Gladstone (7 people max. per shelter) – Providing 16-25-year-olds with short-term accommodation who are homeless and in crisis. Continuing to provide emotional support for the well being of the young people when transitioning to independent living. Jack’s House Youth Shelter – Rockhampton (7 people max. per shelter) – Providing 16-19-year-olds with short-term accommodation who are homeless and in crisis. Continuing to provide emotional support for the well being of the young people when transitioning to independent living. Parents Next – Rockhampton and Gladstone – Working to help parents of young children that are entering employment education and training. This service works with parents, helping them to identify their education and employment goals. Helping them to achieve these goals and linking them to activities and services in the local community. Branchout – An essential prevention and early intervention responding to young people aged 12-18 years who are experiencing difficulties. Supporting youth who struggle socially and emotionally. Reconnect – Assisting young people (12-18yrs) who are homeless or at risk of becoming homeless. Offering support plans, ongoing mentoring, case management, youth development and family support. Family Support – Providing assistance to anyone experiencing difficulties within their family. Offering mediation support, advocacy, and therapeutic and practical support. 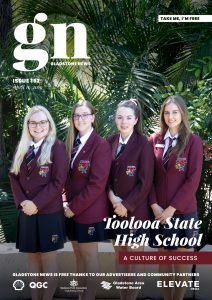 Supporting Youth Transition to Independent Living – Rockhampton and Gladstone – Providing support to young people aged 16-25 years who are living independently. Aiming to provide practical support for the emotional well being of the young person. Emergency Accommodation – Available for 6-8 weeks for anyone in housing crisis. Then working with housing officer to find alternative accommodation. Crisis Accommodation for Young People – Units for eligible young people in crisis for a maximum of 12 weeks. These tenants have meetings with the transition to independent living worker. Long Term Community Housing – Helping to find long-term housing for people that are registered with the Department of Housing. Currently, there are 168 community houses available. Headspace – Supporting 12-25 year old going through a rough time. An early intervention program for youth with ‘mild’ mental health and well-being, general health, work, school and study or alcohol and other drug issues. The Roseberry Dignity ‘Hub’ is solely run by volunteers and is open 3 days per week. Monday, Wednesday and Fridays 8 am – 2.30pm. Washing clothes, drying them. Showering, having a cup of coffee and a bite to eat. Grabbing a pack of take-home items before leaving and making room for the next person who is needing to use the same facilities. It was so nice to be there to see the hub in action. Laundry for washing and drying clothing. Bathroom for shower and personal hygiene. Kitchenette for tea, coffee facilities. Access to perishable food items for those experiencing crisis. Information and referrals to other services. Some weeks the dignity hub could get up to 50 visitors, although it varies, and the volunteers are noticing that the people in need are very considerate and do not take advantage of the services. They are finding that many of the Hub’s visitors will generally come on their off-pay week to use the facilities. The employees and the volunteers want to make a note to THANK these people in need for being so considerate and only using this service when they really need to. This is one way of making sure that the kindness that comes from within the Hub is shared evenly throughout those who are doing it tough. Jade (Volunteers 3 days per week) ~ “Spending time in youth shelters myself, growing up and knowing what our Hub visitors are going through can be quite emotional at times. I am a very empathetic person but you find ways to deal with the emotions that you feel for each person who walks through the door. There are good kids and people out there that just find themselves in difficult situations. Knowing first hand how tough these times can be, I wanted to be able to give back somehow and the Dignity Hub is where I feel I can do such a thing. I just want to be able to help people in these difficult situations, give them hope and help them to keep their dignity.” Jade also has 4 children, volunteers at their football club and is studying for her certificate in community services. Hair Aid ~ Monthly ~ 2 local hairdressers donate their time every 6 weeks to head over to the hub and offer the visitors a hair cut of their choice. Hayley from Uber Hair and Megan from Cheeky Chops by Megan Miller, what an amazing gesture this is. I am certain that the Hub visitors appreciate the time and services you provide for them. I don’t know about you, but a hair cut makes so much difference to the way you feel. I’d love a good hair cut (If I hadn’t been growing my dreads for 7 years). Within the Dignity Hub there is also campaign that runs throughout the year, called ‘Men’s Essentials’. This helps the men (who are struggling) in our community who are looking for a job, or have an interview, to be presentable on these occasions by supplying them with the essentials. Believe it or not, there are a lot of men who are finding times tough and do need help. Donations of non-perishable food items food. Toiletries (including toothpaste, toothbrushes, body wash, soaps, shampoo, conditioners). Ingredients to make meals, muffins or snacks. Washing powders/softeners for the washing facilities available at the hub. Deodorants for men and women. If you are in a position to donate any of the above items, please drop them to the Dignity Hub in Rollo Street, Gladstone on Mondays, Wednesdays or Fridays. The feeling I got from these amazing people was more about getting the word out that they exist and that if anyone is struggling and needs a little helping hand through tough times….. please visit the Dignity Hub. The volunteers would love to help in any way they can. They are there to help and make tough times less ‘tough’.